Despite a lack of clarity of border arrangements due to Brexit, a new network of cross-border walking and cycle routes is continued to be planned between Donegal in the Republic and Derry in Northern Ireland. Plans for a route between Derry and Muff in Donegal are to go on view at events this week in Hollybush Primary School and Muff Community Hall. 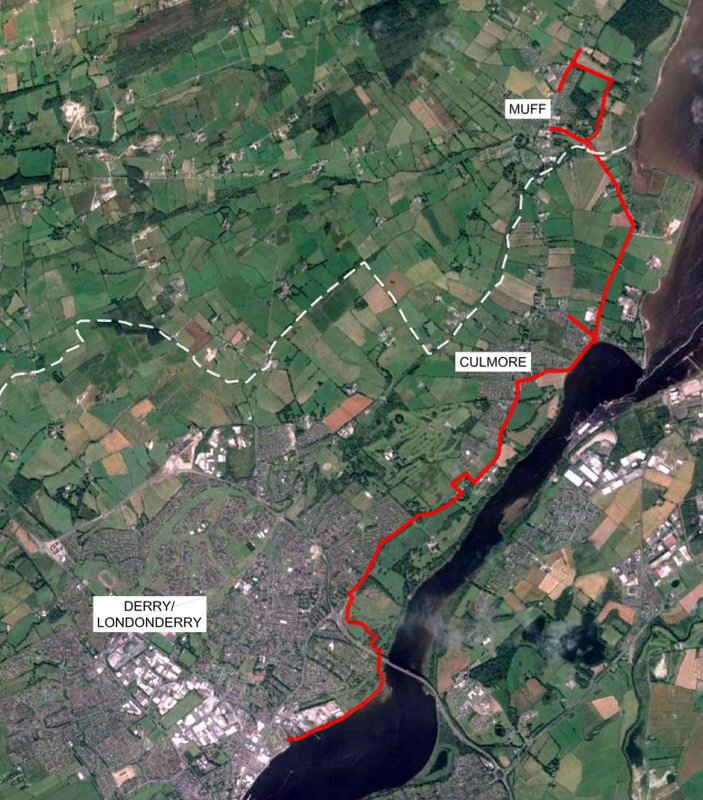 The Derry to Muff route is part of an EU-funded greenway project that that also includes routes between Derry to Buncrana and Lifford-Strabane. The public information events are at Hollybush Primary School, Culmore from 14.00 to 20.00 on Wednesday November 28 and at Community Hall, Moville Road, Muff from 14.00 to 19.30 on Thursday 29 November 2018. The plans and a comment card will also be available at nwgreenway.com from Wednesday. Donegal County Council and Derry City and Strabane District Council said that from the route corridors published in May 2018 and following an appraisal exercise, the chosen route is a mixture of the ‘red’ and ‘green’ route corridor options. In Muff, the route will also include an additional link to the village centre from further up Canning’s Lane on to Kilderry Lane, coming out at Main Street opposite Borderland. That’s great news. Donegal should learn from the Westport experience and build the greenway along the Foyle out to Moville etc – good for tourism, safe route for residents, win, win, win. I hope they keep the name “Wee Greenway”. Great marketing potential.